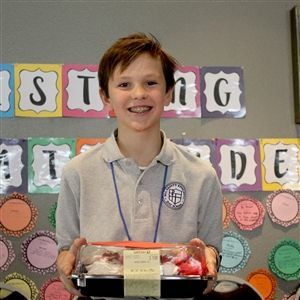 Congratulations to seventh-grade student Will Posorske who won the annual Middle School Spelling Bee on January 30! Fifth-grade student Sofia LeMense received second place and eighth-grade student Sebastian placed third. Way to go Tigers! Congratulations to all of the students who participated in the Spelling Bee!